Sam Broom was a geologist from the Land Down Under and now finds himself living in Sunny Southern California working at Sprott as a broker. If you want to know what the rocks are really saying, Sam's your guy. And he's very bullish on the mining sector. Just take a look at the most recent COT report. And it's been so beaten up there's almost only one way it can go. And that's before we take supply considerations into account. M&A is going to be big this year because the majors need reserves. They've been living off their own diminishing reserves for too long. Now it's time to go out and acquire some. But it ain't that easy. High quality discoveries have been declining for over a generation now and there's no turn-around in site. Look for high quality companies with management who have succeeded again and again. And then buy them cheap, like right now. Take a look at the charts below. Lee Schultz is a faithful, long time FSN community member who recently had an epiphany. He realized that we have a number of things in common. He's a “recovering attorney” (of the intellectual property variety) and a refugee from the People’s State of New York and Comrade Cuomo. While he fled South, Lee returned to his native Minnesota. While not exactly a low tax state, on the whole his life is immensely better now. He's never looked back. What prompted Lee to write us was Triple Lutz Report #453. It was like we were watching him. On those occasions when he's a little down (not that often) he watches the numerous YouTube videos on Trump’s unexpected victory on election Night 2106. Whether it was the meltdowns of Hillary supporters, the growing confusion and consternation of the MSM pressitutes over the course of the evening (personal favorite: the The Young Turks highlights), the wildly misguided predictions on a Hillary landslide, or the mocking and ridicule heaped upon Trump when he announced his candidacy, it never fails to bring a smile to his face. Call it schadenfreude or whatever you want, it shows that here is always hope and sometimes justice is served. Sally C. Pipes says, "Premiums for health insurance plans on Obamacare's exchanges will rise an average of 15 percent next year, according to a new report from the Congressional Budget Office. Senate Minority Leader Chuck Schumer, D-N.Y., has blamed President Trump and congressional Republicans for the rate hikes – and for "deliberately sabotaging our health care system." Schumer is half right – Obamacare's insurance markets have indeed been sabotaged. But Schumer and his fellow Democrats are the saboteurs. They're the ones who wove Obamacare's incoherent web of mandates, which are the real reason insurance premiums are soaring." Dee Carter is an Investment Advisor Representative with Sound Income Strategies, LLC based out of Fort Lauderdale, Florida. Dee Carter wrote his new book with two groups in mind that need guidance in financial and retirement planning—prospective retirees and financial advisors. The book provides valuable insights and direction for both. Explaining that there is much more to financial and retirement planning than numbers on a sheet of paper, the book questions why advisors are still being trained the same way Dee Carter was back in 1976. The world has changed so much since then, and the industry needs to adapt. “We were taught that a retiree could only draw a small percentage from their principal each year in order to keep that principal from disappearing over time. Now, we know how clients can guard their principal and still receive a very nice retirement by investing for income rather than growth,” says Dee Carter. In, It’s Now or Never: How to Enjoy Your Life and Not Let Your Investments Own You!, Dee Carter explains that during his 47 years in financial services, he has seen way too many people that are woefully unprepared for retirement. One of the major reasons for this is that investors are hesitant to sit down with a financial advisor and ask for help. The book shares Dee Carter’s life story and experiences to help readers avoid making the same mistakes Dee has seen over the years. The book shares directives at the end of each chapter to help readers find an advisor that is right for them. With nearly 50 years of experience in the insurance and financial services industry, Dee K. Carter enjoys bringing stability and reliable income to his retirement-planning clients. Mr. Carter has earned several highly sought-after industry designations including the Chartered Life Underwriter, Chartered Financial Consultant, and Registered Financial Consultant designation earned only by financial professionals with outstanding ethical performance. It appears that President Trump has prevailed in his trade dispute with the European Union. The goal of zero tariffs appears to be within reach. But is that enough to head off the impending financial disruption? John thinks not. There's just too much debt and not enough productive capacity. It's a prescription for disaster. But you can prepare now. It just takes a little forethought and knowledge. Jamie Keech says it's not easy making money in Vancouver resource stocks and he should know. With a degree in mining engineering, he's worked at a number of places around the globe. However, his most valuable and possibly least satisfying experience was working on the permitting process. That's where you really find out the true story. Jamie says that anyone making claims about speedy permitting turnaround deserves added scrutiny. But in spite of the pitfalls, there's great opportunity in this sector, but you need specialized knowledge to avoid the pitfalls. It's a jungle out there, but Jamie believes it is a profitable one for those investors who perservere. The first wave of Cannabis companies has come and gone. Some are doing okay, others not. Our new sponsor Leviathan Cannabis's CEO Martin Doane believes that he's learned the lessons of that round and is on to the next. Leviathan recently acquired Ontario Pharmacy Pulse RX, which will become the backbone of its medical cannabis distribution network. In addition, they've got a branding division that will help Leviathan and others create lasting major brands in the space. Finally, they're very focused on creating highly automated growing facilities that will continually produce product and achieve the highest productivity rates possible. Martin used to practice law like yours truly. He participated in hundreds of financial transactions and helped take many companies public. And he's been successful at it, selling a company for $100 million in 2011. With the promise of large international markets and Canada's goal to become the major player in legal Cannabis, Leviathan could indeed become a dominant player in the market. John Vespian says that more often than not, the desire to achieve ambitious goals immediately and easily is going to prove unrealistic. Important things, such as building your career, investments and personal relationships, demand substantial time and effort. If you are feeling stressed because of your slow progress, remind yourself that it makes no sense to put pressure on the wrong places. Some things in life take as long as they take. The process of reaching ambitious goals is to be enjoyed day by day, not viewed as a waste of time. Substantial skills, like learning a foreign language, require months or years of effort. Yet, the investment in effort, time and energy to pursue long-term goals is worth it. In life, you have plenty of time to find your own way. If you think that this is not the case, you may want to check your priorities. "Some talents are innate, but others can only be acquired through practise," wrote Aristotle in twenty-five centuries ago. "The movement of animals is governed by the law of cause and effect, but the essential characteristic of human beings, rationality, can only be developed by choice." Are you aware of your choices and priorities? Are those rational and well-aligned with each other? Trump has been president for nearly 18 months, and the effects of his economic program are being felt, bigly. GDP is way way up and so is employment. During the Obama years, GDP growth never got up over 3% and now it's getting close to 5%. But what about trade wars daddy? Well, Andrew believes that deals will be cut no later than October, just in time for the midterm elections. Let's what happens next. It's only money. Peter Grandich exited from the precious metals scene 5 years ago. And now he's back. He sees unparalleled value and the ultimate insurance policy. He's pessimistic about the course of the broader market and believes it's all going to come crashing down at some point in the next few years. It's just a matter of when. Sean of SGTReport woke up to an ugly reality yesterday. His YouTube channel was taken down with little or no explanation. It's 3 strikes and you're out! He supposedly violated community standards. What he violated these standards is a mystery to us all. This is truly war, a war on free speech. The Stasi Squad with the aid of the SPLC has helped closed him down. But Sean's not taking it lying down. He's fighting back. Tweet YouTube @TeamYouTube and voice your displeasure over this heinous act of censorship. YouTube does this all the time. YouTube is a public utility and a common carrier and need to be treated as such. This is pure evil. They are deleting history altogether. The day will come when they live to regret this action and their campaign against free speech. This is truly a day that will live in infamy! Professor Walter E. Block of Loyola University in New Orleans joined the show. We bumped into each other at FreedomFest. Prof. Block is nothing if not controversial. He's reviled by the left and has been the subject of numerous smears. He believes that homeless is caused, at least partly, by government policies of zoning, minimum wage and unionism. The solutions rest with the private sector as we see that government has been wholly ineffective in dealing with this phenomena. Prof. Block believes all that's required is that it be allowed to function. But we'll probably never find out, as government only gets bigger as a result of its failures. Eddie says beware of Netflix and the Fangs. If you haven't taken profits already, then now might be a great time to do so. Rising rates will mean higher profits for financial companies. Once the trade war fears go away, the 10 year will break 3 percent and the US economy will stay strong. But time will tell, let's see what happens next. We spoke with author and financial expert Lorraine Ell. Her recent book Bozox Monsters and Whiz-Bangs - Bad Advice from Financial Advisors and How to Avoid It, is must reading. Lorraine helps her clients control emotional responses to market movements. It's hard but she's an expert in the topic. Avoid junk and go for quality. Diversify, both domestically and abroad and most importantly, don't panic! John and I answer a number of your questions and then talk about the changing Commitment of Traders report. Usually the Speculators (hedge funds) are wrong and the Commercials (big banks) are right. If that's the case then it appears that the Commercials are less invested to the downside and the Specs are more committed to the downside. This could go on for a while. But it's looking better for the metals after the recent sell off. Martin Armstrong joined us for a talk about what's happening in Italy and the EU. Martin believes that all the EU bureaucrats care about is keeping their jobs and collecting taxes. People in Italy used their homes as savings vehicles because until recently there were no real estate taxes and no inheritance levies. All that is changing and Martin says the people will reach a no mas moment. It's coming. Back in the US, it's Trump versus the Deep State and the World. Who's going to win that one? What's a Deep Stater to do? There's a major problem in San Francisco and other cities. Homelessness is rampant and it's affecting the quality of life - big time. From human excrement to used syringe's, filth and chaos are reigning. And it's time to reign it all in, before it's too late. We talk also about the fall of Las Vegas. Again homeless, abject neglect and a feeling that they've given up. Vegas once a value travel destination, is now a nickel and dimer's paradise. They charge you for everything and give little back in return. And where's Q anon? 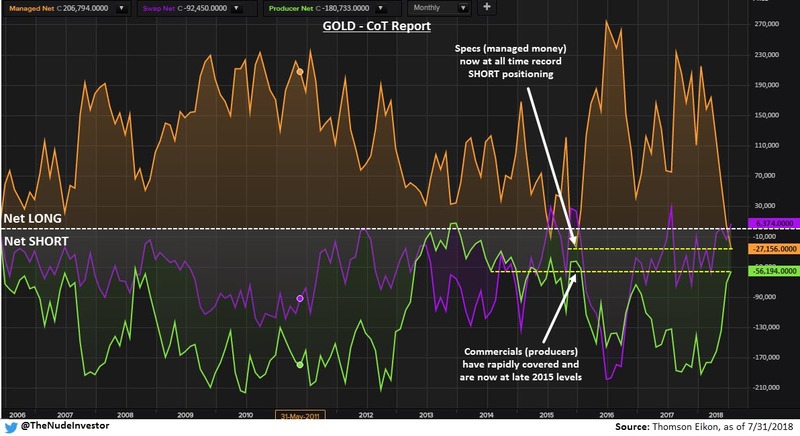 Jordan Roy Byrne has adjusted his forecast for precious metals. He believes that they’ll continue to be weak until the Fed starts cutting rates, which won’t be for a while. With the dollar headed higher, Jordan says there’s really nothing to move precious metals higher. Eventually they will take off, but not for now. 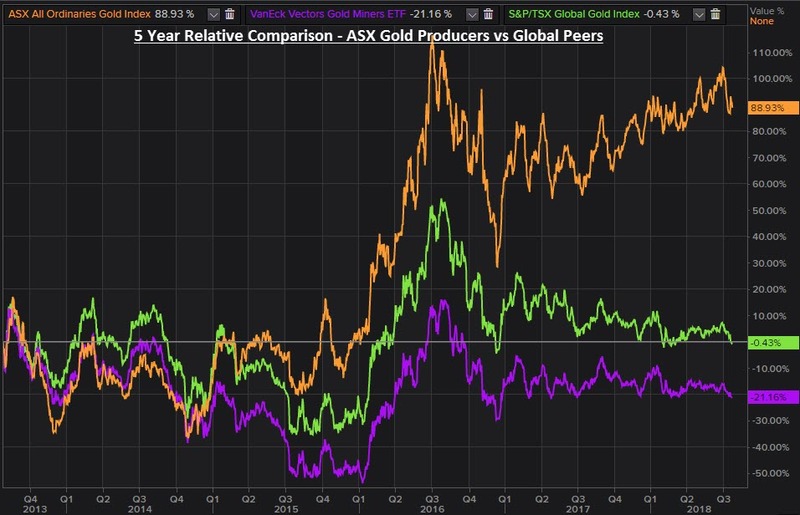 There’s been lot’s or recent weakness in precious metals and commodities. Do we have more to look forward to or will we see a major turnaround in the resource sector. Dr. Copper is sending out warning signs. However the mood at the conference is still upbeat. This group of investors has seen it all before and is used to the periodic slam downs. To them it’s just a matter of time. According to noted financial expert Jim Woods, the world needs more renaissance men. And he thinks they might be about to make a come back. Not sure what a renaissance man looks like, take a look at the old Dos Equis commercials with the most interesting man in the world. He definitely fills the bill. And the more of them we have, the better! What is Quintric, you may ask? Quite simply it's a gold backed crypto currency that it's founders believe will dramatically change what we call money. Each ounce of gold backs 1000 coins. Therefore, it should ensure that Quintric will be used as money, because it will be easy to use it as a currency. Let's see what happens next on this one. Cigar Break Asset Management's Craig Baker isn't much of a cigar smoker. Rather the name was picked out by a computer. The company is a hedge fund that finances hard money loans, purchases auto loan paper and they finance handicap accessible vehicles. Default rates are low and Craig has been involved in these lines for many years so he understands the performance aspects of the portfolios. Therefore, the returns are high and delinquencies are low. The demand for Medical Cannabis is burgeoning. It shows promise for reducing opioid dependence, pain management and a host of other medical conditions. Pure Global Cannabis is at the forefront of this movement. It's subsidiary Puresinse has obtained a rare license from the Canadian government to produce and distribute medical cannabis and it has all the pieces in place to become a dominant international player. Most importantly is CEO Malay Panchal. A pharmacist by training, he has long been involved with major pharmaceutical companies, helping them to make full use of Internet technology. This opportunity came along and Malay jumped at it. How many times in life do you get the opportunity to be one of the first in an emerging industry? He's excited to be backed by major players in a brand new company that emerged on the scene via reverse merger. Pure Global Cannabis has just been listed on the TSX.V under the symbol PURE and FSN is thrilled to have a Pure sponsor. Love Guv is a 5 part series was produced by the Independent Institute to show how government can screw up people's lives. The series deals with star crossed lovers Alexis and Guv. Guv seems to be very well intentioned, he really wants to help, but everything he does ends in disaster. From excessive college loans to helping Alexis buy a home, everything Guv touches turns into failure. Sound familiar?